In recent years Malaysia has emerged as an ideal spot for retirees planning to seek their retirement haven abroad. In the latest Annual Global Retirement Index for 2017 produced by International Living, Malaysia has topped the list of all Asian retirement destinations, ranking sixth in the world after Mexico, Panama, Ecuador, Panama, Costa Rica and Columbia, and is the only Asian country to have made it into the top 10. 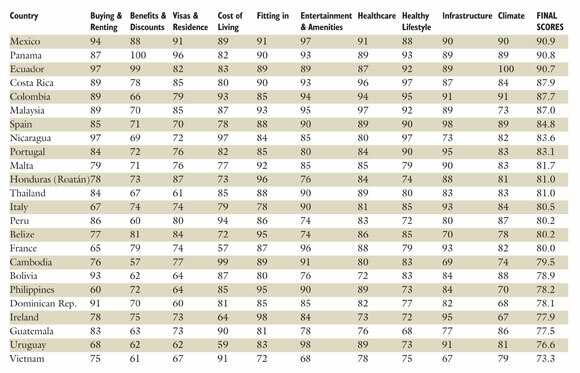 This year's report analyzed 24 countries, ranking them across a broad variety of categories including the cost of real estate, special benefits offered to retirees, entertainment and amenities, safety and stability, healthcare, climate, infrastructure, and the cost of living. The report notes that Malaysia's robust economy delivers consistently high standard of living available to locals and expats alike, delivering a quality of life that is both cost-efficient and attractive. It's one of only three countries in Asia (Singapore and Hong Kong are the other two) where it's possible to buy property freehold. And you don't need to be living there to do it. Visitors arriving in the country will be given a three-month visa, and if you decide to buy while you are there, you can. But even if you don't, typical expat locations such as Kuala Lumpur and Penang also offer high-quality real estate at low rental. According to the report, Malaysian cities are clean and modern, its public transport unrivaled, and its people the friendliest in Asia. And while other Asian countries offer great budget holidays, and some offer first-class vacations, Malaysia manages to cater extraordinarily well to both. Says IL Malaysia correspondent, Keith Hockton, "In Malaysia, you'll get the best street food, restaurants and cafés in the region, and some interesting architecture that is unlike any other. The food is not just first class; it's world class. And the shopping in Kuala Lumpur and Penang is to die for. From state of the art air-conditioned shopping centers to colorful night markets, Malaysia has it all." "Consisting of 13 states and three federal territories, there is a lot to see and do here," he adds. "It's just one of the reasons that first time tourists to Malaysia come back again and again, and ultimately end up moving or retiring here." Indeed Malaysia has no less than four UNESCO world heritage sites - the Lenggong Valley, the Gunung Mulu National Park, Kinabalu Park and the cities of George Town and Malacca. Says Keith, "Kinabalu Park is a bird watcher's paradise, and Mount Kinabalu is the tallest mountain in Malaysia. Sunrise seen from here is something that you will remember for the rest of your life." Coining Malaysia as 'Great Value for Money in a Cultural Melting Pot', the report indicates that the average retiree can enjoy a life of luxury in the country on a modest budget. It also notes that Malaysia makes a perfect base from which to explore the many natural, historical, and cultural treasures that Southeast Asia has to offer. 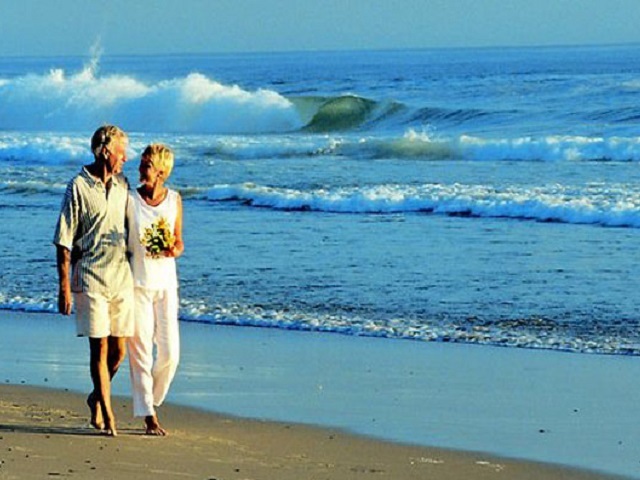 Other benefits associated with retirement in Malaysia? 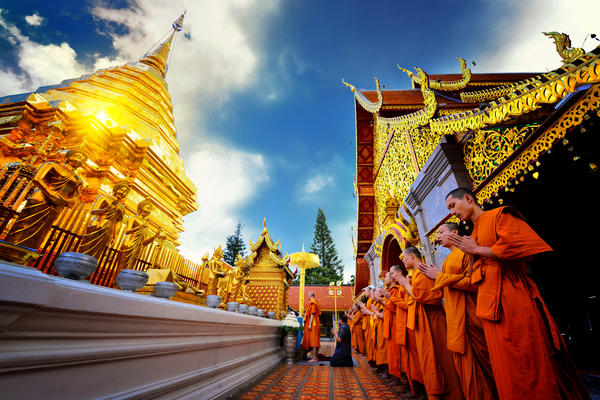 The proliferation of low-cost Asian airlines in recent years has made it easier (and more affordable) than ever to explore the rest of Asia. It is also easier for retirees to fit in and socialize with locals by comparison to other countries as English is so widely spoken. Also worthy of mention is the quality of health care in Malaysia, which according to the report, is comparable to that in any First-World nation. Designed for discerning travellers, Viking offers guests “the thinking person’s cruise” as an alternative to mainstream cruises. The Viking Difference is providing guests with extraordinarily well-designed cruises that bring them closer to the cultures of the world. Itineraries are designed for maximum time in port, often with late evenings or overnights, so guests can experience local culture at night or evening performances. Ports include both cosmopolitan cities and “collector ports,” appealing to those with an interest in history, art, music, and cuisine. And only The Viking Way brings guests itineraries that feature Local Life, Working World and Privileged Access experiences. Light-filled with modern Scandinavian interiors, Viking’s ships were designed by experienced nautical architects and engineers, including the same interior design team responsible for the award-winning fleet of Viking Longships®. Throughout each ship, details are incorporated to pay homage to Nordic heritage and to help guests immerse themselves in local surroundings. A glass-backed infinity pool cantilevered off the stern offers unobstructed views; indoor-outdoor spaces offer more options for al fresco dining than any other vessels in their class; huge windows and skylights blur the lines between inside and out; and a wrap-around promenade deck nods to a bygone era of classic ocean liners. 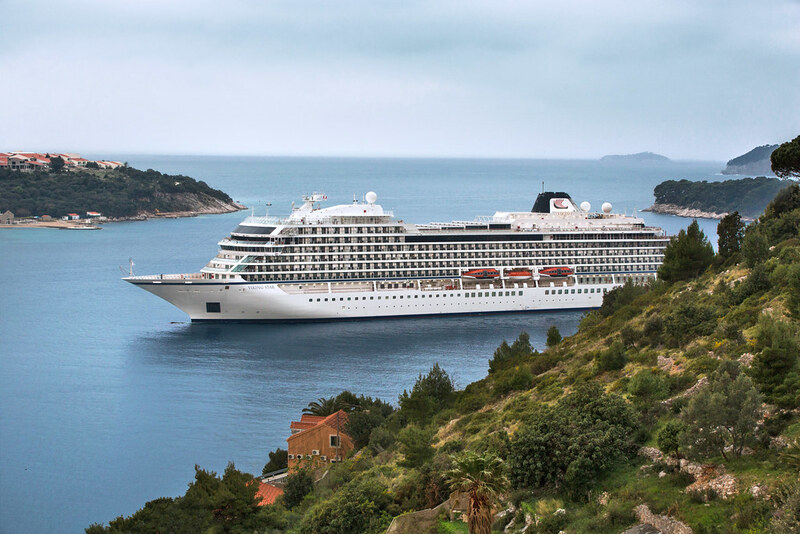 Viking Inclusive Value provides a small ship experience at a big ship value onboard Viking Ocean Cruises —with every cruise fare including a veranda stateroom, shore excursions in each port of call, all onboard meals, and all port charges and government taxes. Guests also enjoy many complimentary amenities as part of their fare, including: beer and wine with lunch and dinner service; premium dining reservations; Wi-Fi; self-service laundry; access to the Thermal Suite in the LivNordic Spa; and 24-hour room service—an included value of more than USD$200 per person, per day for an average cruise. Viking Cruises offers destination-centric river and ocean cruising designed for experienced travellers with an interest in geography, culture and history. Featuring onboard cultural enrichment and included shore excursions, Viking’s journeys are competitively priced for genuine value. 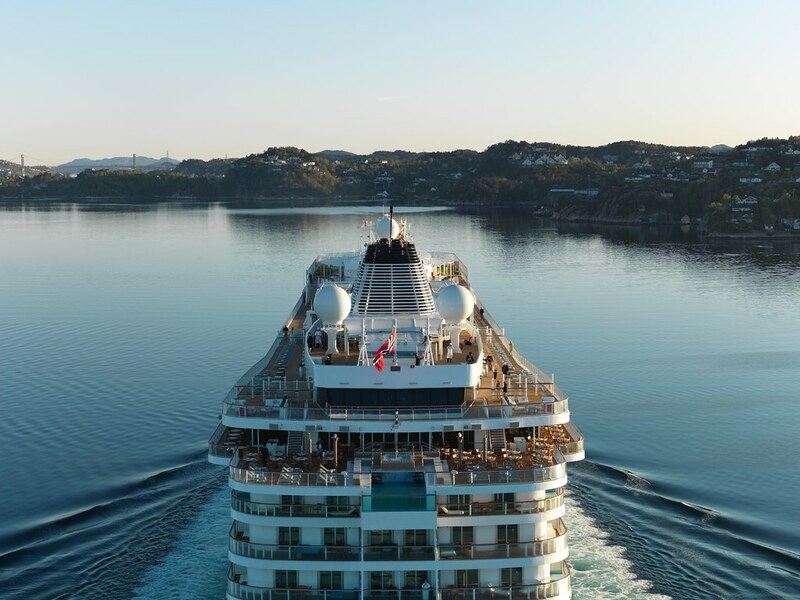 Debuting its maiden season of ocean cruising in 2015, the sophisticated state-of-the-art Viking Star hosts 930 guests on itineraries in Scandinavia and the Baltic; the Western and Eastern Mediterranean; the British Isles and the Americas. Viking will welcome Viking Sky and Viking Sun, the company’s third and fourth ship, in early and late 2017, respectively. Viking Spirit will be delivered in 2018; the yet-to-be-named sixth ship will be delivered in 2020. As the world’s leading river cruise line, since its 1997 inception the company has grown to a fleet of 64 river vessels (in 2016) offering scenic cruising along the rivers of Europe, Russia, China, and Southeast Asia. Viking has been honoured multiple times in Travel + Leisure’s “World’s Best” Awards and Condé Nast Traveller’s “Gold List” as well as recognised by the editors of Cruise Critic as “Best River Cruise Line,” with the entire VikingLongships® fleet being named “Best New River Ships” in the website’s Editors’ Picks Awards. Viking Cruises has recently been awarded as The World's Best Large-Ship Ocean Cruise Line by Travel + Leisure, 2016. For additional information, contact Viking Cruises at 1300 845 464 (Australia) & 0800 447 913 (New Zealand) or visit www.vikingcruises.com.au . To join the Viking Cruises community online, visit www.facebook.com/vikingcruisesAUNZ. What’s your #luxurytravel resolution this New Year? It’s that time of year again. The Christmas excitement is over, waistlines have expanded and thoughts turn to reinvention, health, self-improvement and the adoption of better habits. 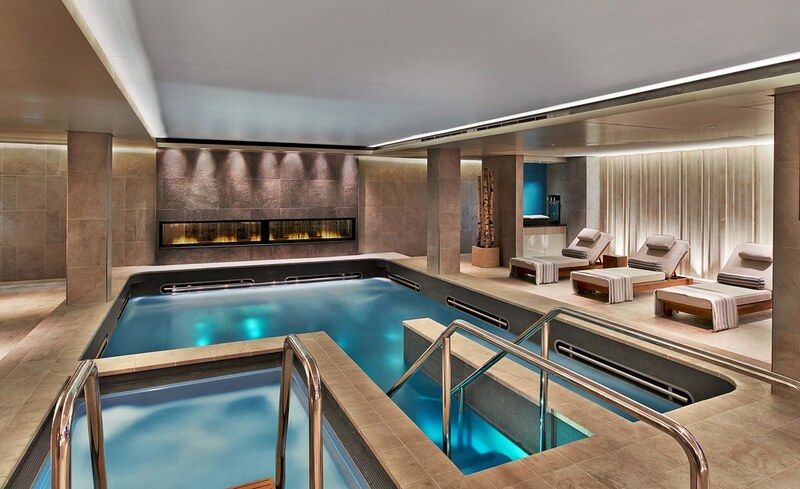 The luxury travel experts think that travel delivers on all these fronts. Nothing is more fulfilling than taking time out with the family and a holiday gives the perfect opportunity to relax, remove yourself from the day to day and focus on those around you. A wildlife safari delivers unforgettable experiences, educates young and old alike on the wonders of the animal kingdom, allows plenty of activity and adventure and above all unforgettable memories. There is always more that can be done to benefit needy communities and respect fragile ecosystems. A&K understood this as far back as 1982 when it established Abercrombie & Kent Philanthropy (AKP). Many journeys offer opportunities for personal involvement with the projects AKP supports from leopard protection in Sri Lanka to bee-keeping in Tanzania, housing for street kids in Morocco and wells for clean water in Cambodia, and many more. Avoid a drastic diet and instead make healthy choices, like the Italians do. Their respect for fresh produce and simple flavours is to be admired. Adopt these habits when you visit the northeast of Italy where Prosciutto, Venetian bacari and white asparagus are counted amongst the regional specialities. While the focus is fine fresh food, travellers will be equally dazzled by the local art, architecture and atmospheric lodgings. It is said that life’s too short to drink bad wine so if consumption is to be cut choose quality above quantity. Argentinean wines are amongst the best in the world and nestling against the Andes, Mendoza is one of the world’s great wine regions. Most famous for its malbec, there’s no shortage of quality here and on a luxury travel journey, guests explore the terroir, visit leading vineyards and cellar doors, meet winemakers and enjoy ample tasting opportunities. 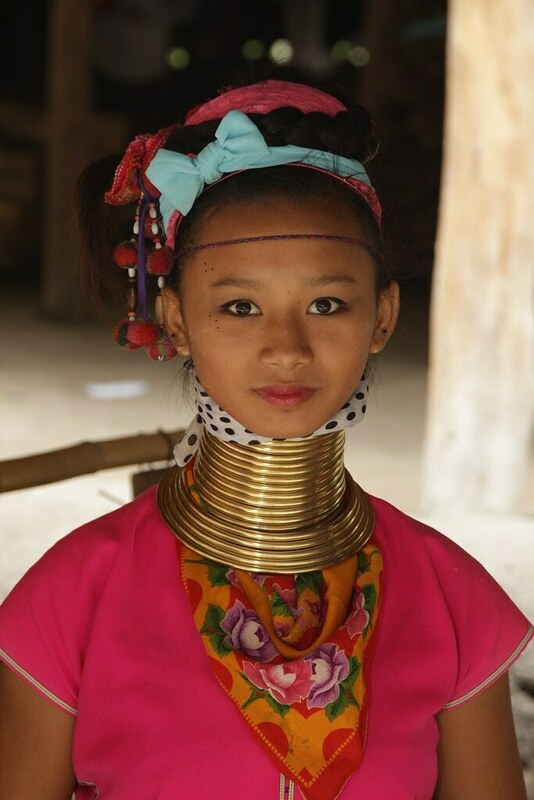 Photography and luxury travel go hand in hand but so often the images we capture disappoint. Try a dedicated photographic expedition to Antarctica where professional photographer Richard Harker is the resident photo coach. Throughout the journey, Richard offers everything from an introduction to taking photographs in polar climes to tips for seasoned experts with on board workshops, technical advice, hands-on tutorials and guidance in the field. Antarctica is alive with incredible subject matter for the photographer from dazzling icebergs and close-up wildlife to breaching whales and seabirds in flight. On a photographic expedition you’re sure to bring home wonderful pictorial mementos of the trip.